I offer these free teacher resources and printables out of my admiration and respect for teachers, who carry a huge workload and also have to find ways to help the special needs children and struggling learners in their classes. 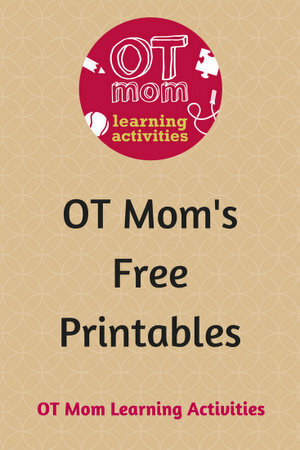 They are aimed at preschool, kindergarten and early elementary teachers, but homeschool moms may find them helpful too! I personally hate having to give out my email address to get a freebie - to me, that feels like paying with my personal identity. So, all my freebies really are free - you just click and download :-) . If you are interested in signing up for my newsletter, you can sign up on a separate page. Click on the quick links to jump to the section you are interested in, or scroll through my entire page to see them all! For parent/teacher meetings, or parent seminars, you may find these printable handouts useful. They contain some basic information helpful to parents, and will direct them to specific pages on this website where they can find relevant activities. Just click on the link for an instant PDF download. You will need Adobe Reader or equivalent to open the PDF. Please feel free to share these free teacher resources by linking to this page, not directly to the PDFs themselves. Thanks! Por favor, no enlazar directamente con el archivo PDF desde tu propio blog - por favor enlace a esta página. ¡Gracias! Here are some quick and easy basic desk and mat exercises to improve kids' school skills. Whether you are a homeschooling mom or a teacher of 35 kids, these exercises will be useful in your classroom. 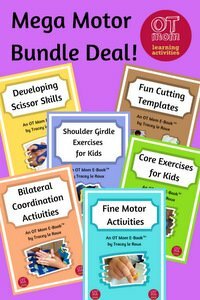 Head over to Classroom Gross Motor Exercises for more ideas in addition to these printables. In addition, you can get a free basic scissor cutting template on my cutting activities page. Head over to my Christmas pages to find some free resources you can use in your classroom or homeschool setting. 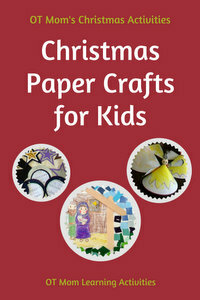 Christmas Paper Craft Ideas has some simple activities that kids can do in the classroom, with a couple of free template downloads. 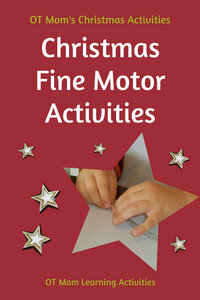 Christmas Fine Motor Activities - ideas to help kids work on fine motor skills at Christmas. 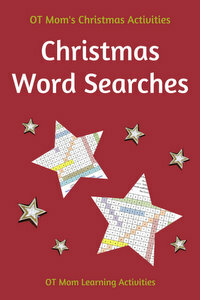 Free Printable Christmas Word Searches can be used to boost figure-ground perception and visual discrimination skills. Christmas Scissor Cutting Resources - this is not free but excellent value for money and can be used over and over again - I include it here as a helpful resource for teachers. Kay M. Donato has a valuable page on Teaching Strategies that I think is immensely helpful for anyone who is teaching any child with special needs, not just autism. So head over to her page on Teaching Strategies for Autism and be encouraged and inspired! There are lots of free information and activity ideas on this website, so please sign up for my free newsletter to keep in touch with new pages and new ideas as I post them. These free teacher resources arise from requests made and needs identified by teachers who have contacted me. It is my hope that teachers all over the world will find these pages helpful, which will enable more children to be the best they can be! All my website activities and much, much more in a printable, user-friendly format. Need supplies? 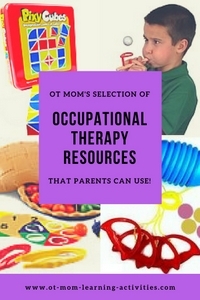 Pop on over to my OT Products page to see recommended products.